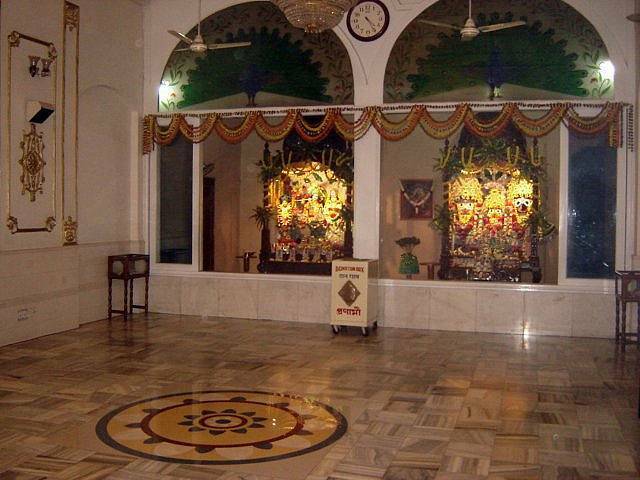 ISKCON Kolkata or Sri Sri Radha Govind Temple was the first center which was established by a Gaudiya Vaishnava Spiritual Guru called Bhaktivedanta Swami Prabhupada. Started in 1972, the temple is dedicated to Lord Krishna and his eternal devotee Goddess Radha. Constructed using the marbles and granites the entire temple structure completely mesmerizes the visitors. As per Hindu mythology, Goddess Radha dresses up only to please Lord Krishna, the deities are dressed up with beautiful attires and floral garlands. The dresses of the idols are changed thrice a day. Bhajans are conducted in the wooden altar within the temple. A restaurant is also present within the temple complex.